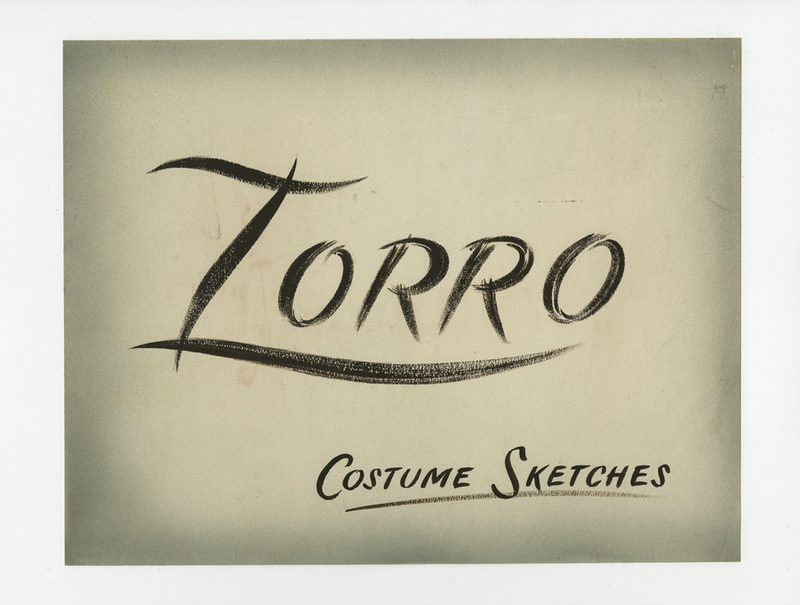 This is a hand-painted sign created by Walt Disney Studios during the run of the television series Zorro (1957-1959). 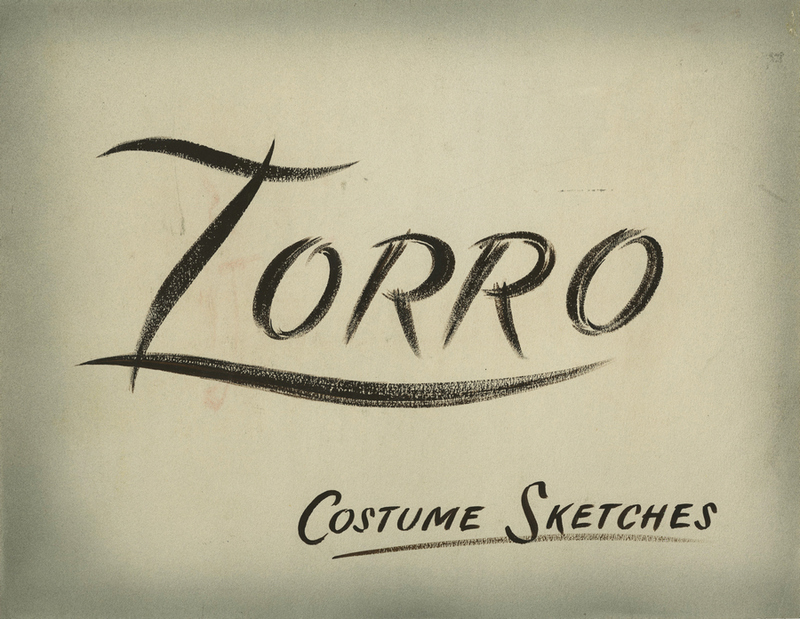 The artwork was likely used as part of a display or as the cover of a costume book. The lettering is hand-painted within the vignetted border, and there is a dried adhesive layer on the reverse. The sign measures 10.75" x 13.75" and is in very good condition with minor surface wear.